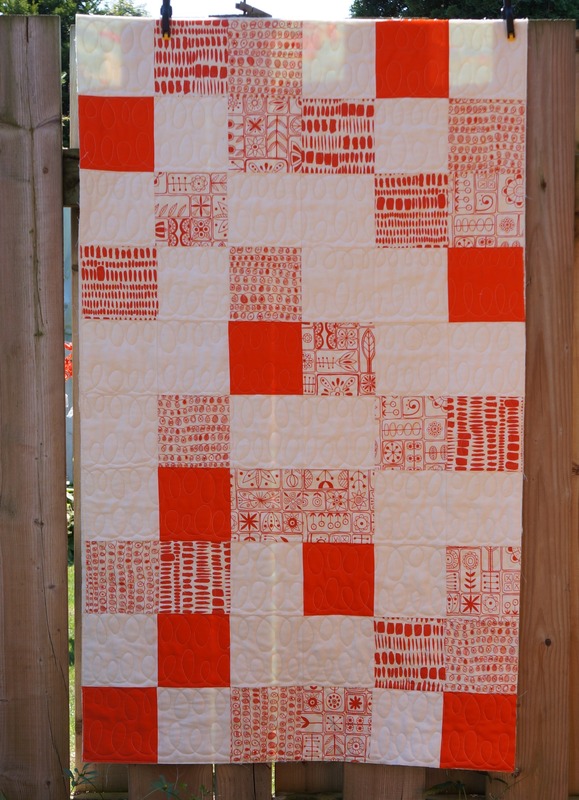 Aneela Hoey quilts loops and I like it and that’s what I thought I’d do with this quilt especially since loops are incorporated in one of the fabric patterns. I followed the horizontal seams to keep me sewing straight. After I’d followed all the rows, I flipped the quilt around and followed the seams again but on the opposite side. I love the effect, it makes the design look like a vine. Quilt backs are always a bit of a struggle for me. I don’t always like throwing left overs on the back because I feel that you need keep them in line with the front. I also don’t have a ton of yardage — who does? I know some do but I don’t think it’s common, I could be wrong. 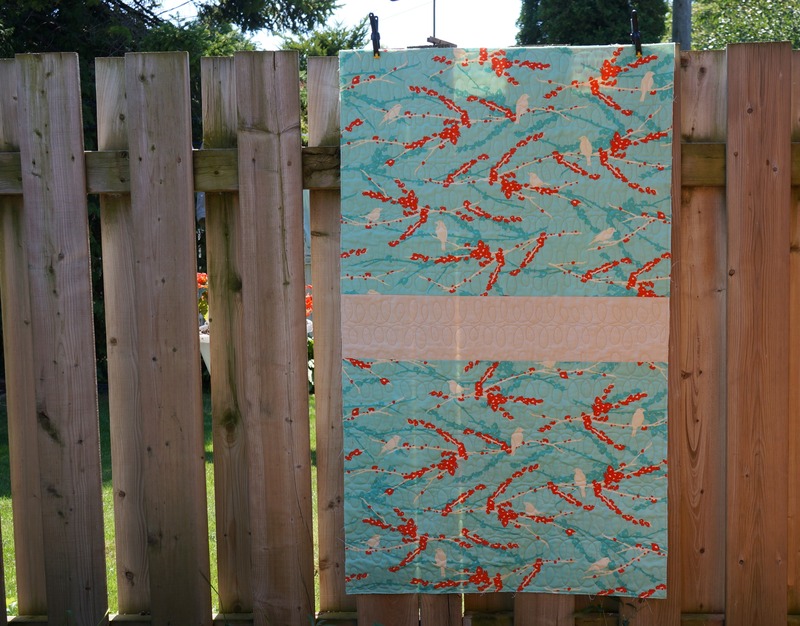 I did have a yard or so of Joel Dewberry’s Sparrows in Aqua but not quite enough to cover the entire back seamlessly so I cut it in half and inserted a 6″ strip of natural linen. 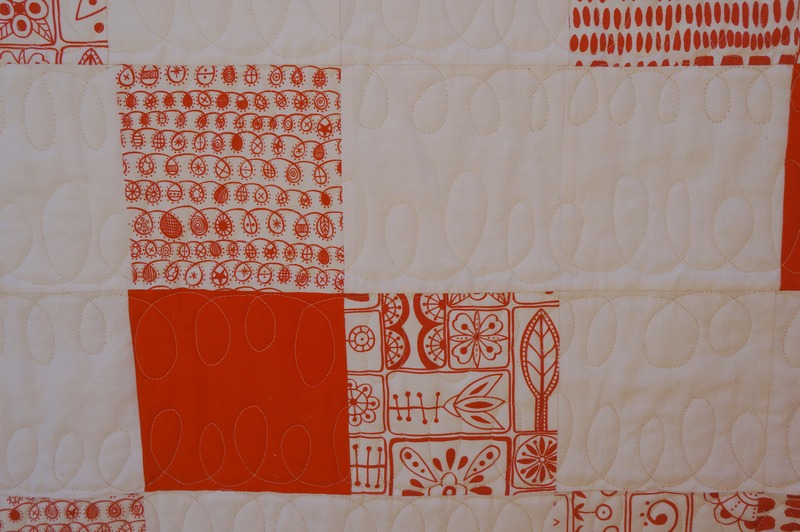 I love the quilting in the linen. Now I have to find a binding. 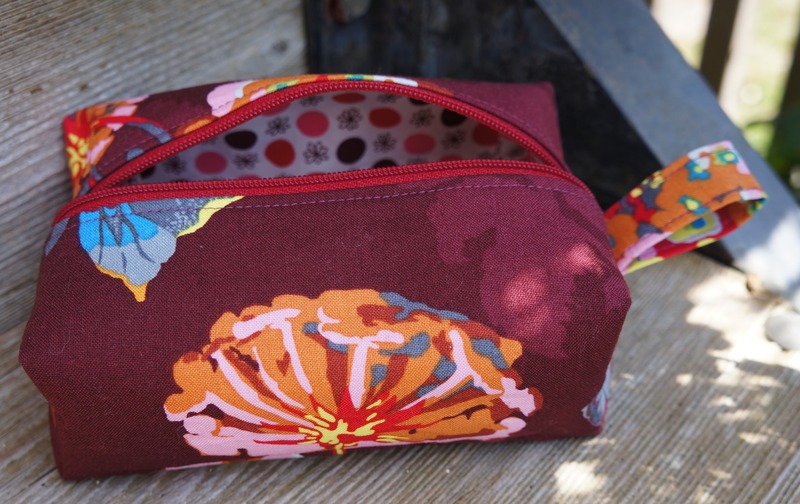 I also managed to squeeze in a mini zippy pouch today, so fun! 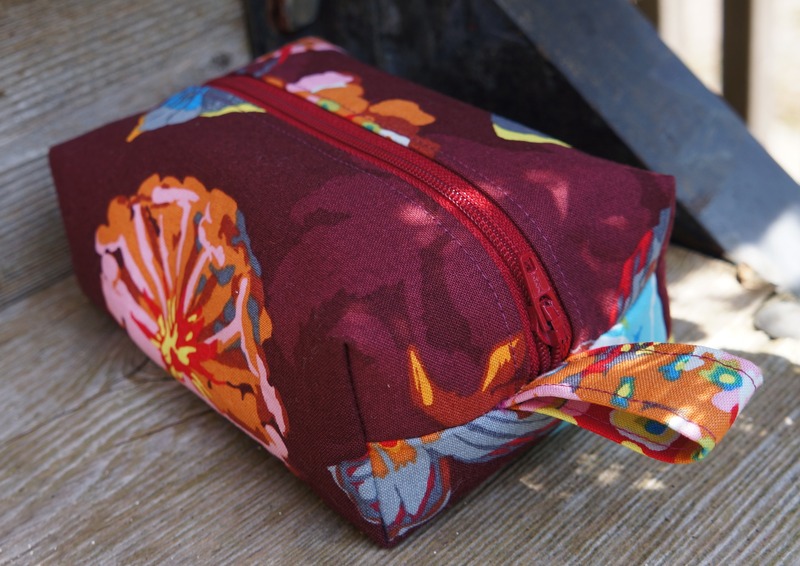 This entry was posted in Craftsy, Finished Objects, FMQ, quilt, Quilting, Zippy Pouch and tagged Aneela Hoey, Anna Maria Horner, Aviary 2, Joel Dewberry, Summersville by Tabatha. Bookmark the permalink. 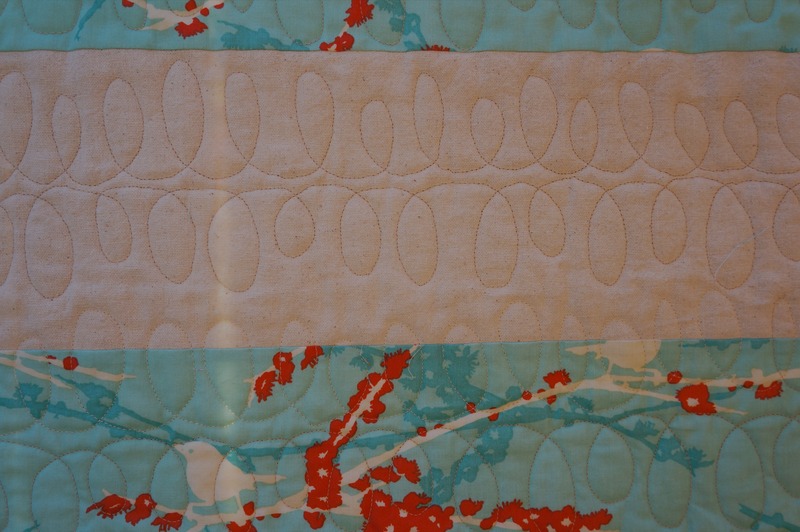 Really like your the loop quilting.